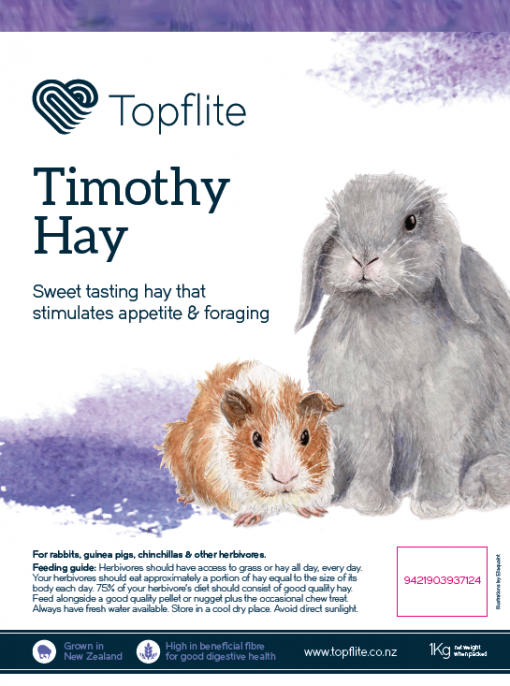 Our large-in-size, good-in-value, great-in-nutrition Timothy Hay is carefully grown in New Zealand’s south before being tested and packed to ensure the very best result for your rabbits, guinea pigs, and other happy herbivores. Timothy Hay is high in fibre and is easily digested. 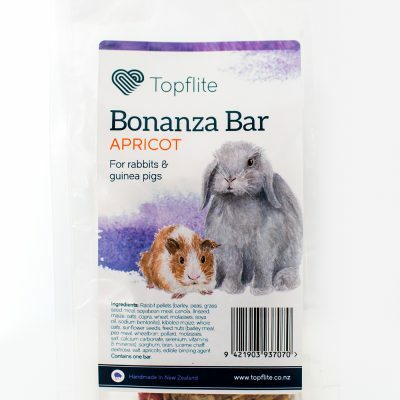 It’s sweet smell and delicious taste encourages herbivores to forage and help ensure their fibre intake is sufficient. 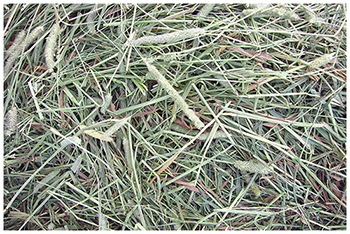 Some hays are high in calcium which can cause health issues in herbivores. 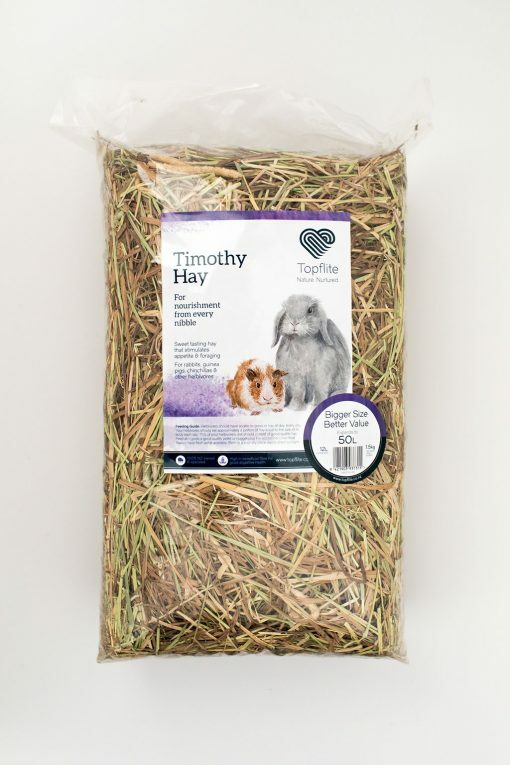 However this hay has a much lower calcium content, making it a healthy choice for your loved furry friend. 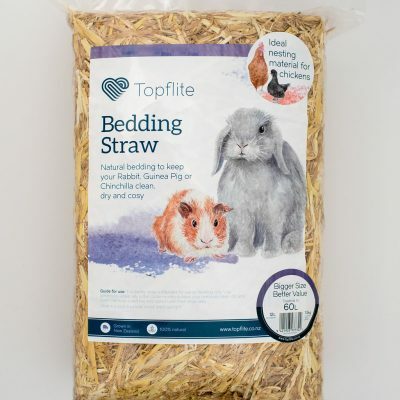 It’s excellent for their dental health too – chewing on this fibrous hay is a great way to keep teeth ground down. Feeding guide: Herbivores should have access to grass or hay every day, and should be eating approximately a portion of this hay equal to their body size daily. 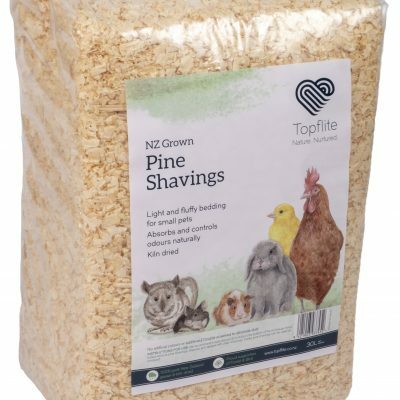 75% of your herbivore’s diet should consist of good quality hay and you’ll need to feed along with a good quality pellet or nugget plus the occasional chew treat. Remember to always have fresh water available too. Storage: Store in a cool dry place. Avoid direct sunlight. If you’re one of the three little pigs, avoid making your house from it. Outer of 5 bags for retail purchasing.